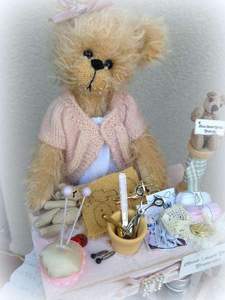 Put your name down to make beautiful bears as well as enjoying a chat and having a nice tea or coffee with other bear creators. All the bears you see are available to make . There are over 30 different styles and all can be made in the mohair of your choice. no machines needed all bears stitched by hand its fun and relaxing and you make something so special . All classes are held by myself sharon Hale and my helpful mum Jules! Please contact me for more information either through our online form or by phone.